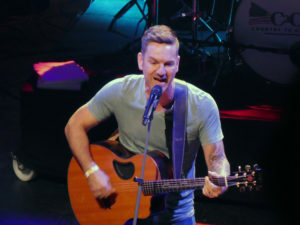 James Barker Band and Craig Campbell Country2Country 2019 Review! Introduced by Baylen Leonard as a “drinking band from Canada”, this quartet immediately lived up to their name by launching into ‘Lawn Chair Lazy’, the first song they officially released as a band. 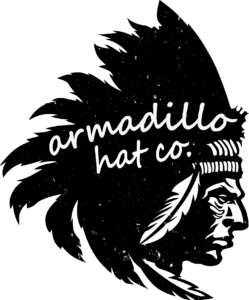 There’s a definite flavour (to my ears) of Florida Georgia Line and with lyrics including It’s the party of the year just sitting here, Somebody hand me a beer, beer, beer, this feelgood, chilled out song immediately gets you in the party mood. 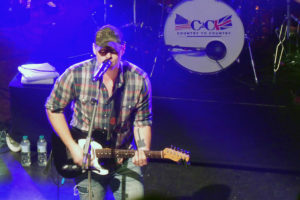 Since their arrival on the country scene in 2013, James Barker and fellow bandmates Connor Stephen, Taylor Abram and Bobby Martin have scored success after success. Having won the Boots and Hearts Emerging Artist Showcase in 2015, they signed to Universal Music Canada. Their seven-song debut EP ‘Game On’, was awarded Country Album of the Year at the 2018 Canadian JUNO awards (the Canadian Grammy) and their first five singles all achieved gold certification and top-10 in Canada. With plenty of energy and stage presence, they followed Lawn Chair Lazy with new single ‘Keep It Simple’, just released in January and already proving a favourite with fans. Taking centre stage, James Barker stopped the music briefly to talk about growing up, writing songs and coming home from High School when his Mum would always ask him ‘What did you today Jimmy?’ – which was fine until he wrote ‘Living the Dream’ – all about drinking beer, smoking pot, and throwing punches in a parking lot. “That day, when she asked me ‘What did you do today Jimmy’, I told her I couldn’t share that Mum, you will be very disappointed,” he told the crowd, making the point that marijuana is legal in Canada – and just checking that it isn’t here in the UK, before treating everyone to the song itself. 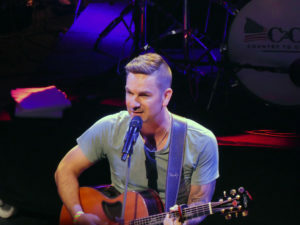 To loud applause and cheers, they rounded off their set with ‘Chills’, the group’s first number one Canadian country radio hit, which also reached number 46 on the US Country radio airplay chart in 2018, the first time for a Canadian country artist not signed to a domestic label to do so. It was also awarded “Single of the Year” and “Best Selling Canadian Single” at the 2018 Canadian Country Music Association (CCMA) Awards. 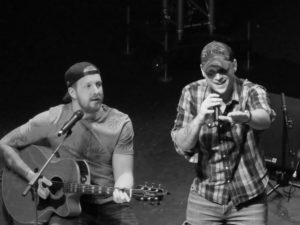 It was a mutual feeling and, given they have already played shows with the likes of Keith Urban, Dierks Bentley, Randy Houser, Brothers Osborne and Kip Moore, you can be sure there’ll be plenty more to come from the James Barker Band. Campbell, who grew up playing keyboards in his mother’s church, has released two albums to date and most recently, after a five year wait, his new EP ‘See You Try’, its title song written by Florida Georgia Line’s Tyler Hubbard with Bart Butler, James McNair and Jordan Schmidt. Telling the crowd he had literally arrived for his first time in London just three hours previously, there was no jet lag for this man, who opened with ‘Outta My Head’ from the ‘Never Regret’ album, creating what for me was one of those special moments of the weekend. From there it was straight on to Me Missing You, from the new EP, perfectly showcasing the deep timbre of his rich Georgia vocals before getting the crowd going with the much more upbeat Mas Tequila. …and was well impressed when they sang the English translation Pour me more tequila. Saying that he is often asked to name the favourite song he’s ever written, Campbell picked and then performed, the beautiful, heartfelt Outskirts of Heaven. For a man whose own father was just 36 when he died of colon cancer and who, less than a week after C2C, posted a live Facebook post from his medical bed as he prepared for a colonoscopy to raise awareness of the need for screening for colorectal and colon cancers, this is clearly a very special song. Another popular choice, Royals, proved this man is both a fast-moving wordsmith and knows how to make a guitar talk, as the audience whooped along. A self-confessed fan of late 80s/early90s country music, he played piano for Luke Bryan before hitting the big time and was in Tracy Byrd’s touring band, joking that if Byrd hadn’t fired him, he probably wouldn’t be where he is today. Performing his penultimate song for the first time, written about a “traumatic event” that happened to him in High School; he ended his set by switching up the tempo with popular choice Fish – check out the double entendres – and, with a final flourish which earned a rightly-deserved standing ovation, Campbell was gone. For more coverage, reviews and interviews, including our chat with James Barker Band, head to our Country2Country 2019 section!